I’m borderline obsessed with photos of beautiful and unique holiday gift wrapping. Every year, around Christmas time, I start thinking that I too can start working on ways to dress up my plain, old packaging. My crafty goals are usually much loftier than time actually allows, however. 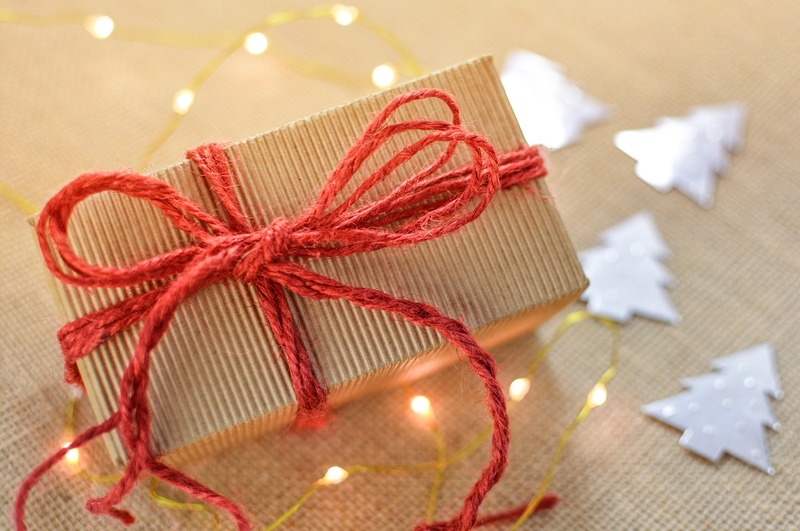 This week, I’m hoping to inspire others with 20 creative holiday gift wrap ideas! My favorite types of gift wrapping are the ones that use simple everyday items found in nature. Check out this lovely rosemary sprig by Love That Party! This yarn ball design from Let’s Wrap Stuff would be purrr-fect (sorry, I couldn’t resist 🙂 ) for Christmas or Valentine’s Day! Homey Oh My shared some monochromatic star and twine trimmings for a more modern feel. Katie from Thirteen Acres shows how to change plain matte black wrapping paper into completely personalized chalkboard wrapping paper. Guest artist Vanessa Spencer layers upcycled magazine pages, paper doilies, and other found items to create a layered boho look on her boxes on the Stampington & Company blog. Here’s one the kids can get in on! Vibrant hand-painted gift wrap by Joni from Lay Baby Lay. A few materials make a big impact with this glitter tape gift wrap by The Kitchy Kitchen. Sparkly! Raid your fridge and gather up those veggies to make some DIY printed paper like Victoria from A Subtle Revelry. Black paint and white paper look anything but plain on these packages by Design and Form. Katrina from Splash of Something used her little one’s fingerprints to create a festive string of lights on her gift wrap. Fun! A tape dispenser and a hole punch are the stars in this gift wrap embellishment by guest poster Fiona from Craft Hunter on the Sweet Style Blog. Check out those incredible scissors, too! Maybe add a little texture with some easy yarn tassels from The Casual Craftlete! Scarlett from Blue, Purple, and Scarlett shared 8 different ways to use fresh herbs and paper doilies on her blog. I love new uses for washi tape and this festive washi tree from Summer over at Food, Crafts, and Family is adorable! These fluffy pom-poms from Cotton and Flax scream winter to me. I might try to add 3 of the white ones on one package to make a yarn snowman! Running low on ribbon? Think about doing something similar to Cakies and paint your own! Quilling strips were used to create this woven pattern by Minieco. Brilliant! Rosemary again takes center stage for these pretty gift tags made by the recipe blog, Spoon, Fork, Bacon. If you’re a little more savvy with a sewing machine than I, try this stitched star package idea from A Pair and A Spare. They would be so fun to rip into! I saved my absolute favorite for last. The twig Christmas trees from Fellow Fellow are so perfectly charming. I would love to see these under my tree! So… are you ready to fancy up your gift boxes yet? I think I might actually be able to use a few of these ideas this year! And maybe (just maybe) I can plan ahead and really go all out next Christmas! How do you wrap your gifts? Leave a comment below and tell me all about it!